Camino de Santiago, Costa Brava, Baleares … These are the exclusive cycle tour trips organized by the Spanish company Bike Spain Tours. Every cyclist knows that there is something magical and unmatched by traveling by bike. To feel the wind in your face, to discover places with a pedal stroke and to immerse yourself in the moment is a unique experience, incomparable to any other means of travel. That’s why more and more travelers, who seek an authentic and unique experience, choose to explore from the saddle of a bicycle. With nearly 20 years of experience, Bike Spain Tours is a leading Spanish company dedicated to bike travel. 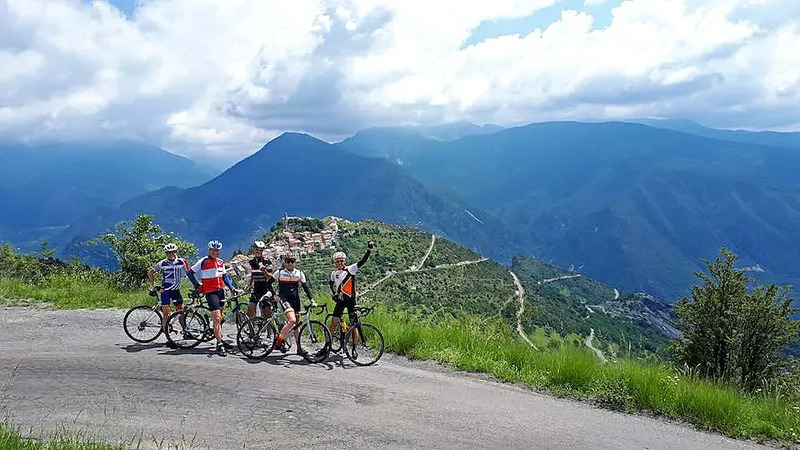 But we’re not talking about any ordinary travel: Bike Spain offers the highest-quality experiences, exclusive and personalized service and an attention to detail. From the best bikes on the market and expert guides, to luxurious accommodations and unforgettable dining experiences. “Many of our customers are foreigners,” explains Pablo Muñoz, founder of Bike Spain. “People of high purchasing power looking for a perfectly organized adventure, with very modern bicycles, good gastronomy, 4 or 5 star hotels … And everything, with the greatest comfort and seriousness,” he explains. When they have to choose, Bike Spain Tours customers have their particular ranking. “For our customers, the most interesting one is the Camino de Santiago,” explains Pablo. “Then, the Costa Brava and Andalusia. And also La Rioja, the Basque Country and Mallorca.” Generally, the tours are one week and can be done on road, hybrid or electric bicycles, an option that is in “increasing demand,” according to Pablo. In the same way that there are not two equal trips, neither are there two equal cyclists. 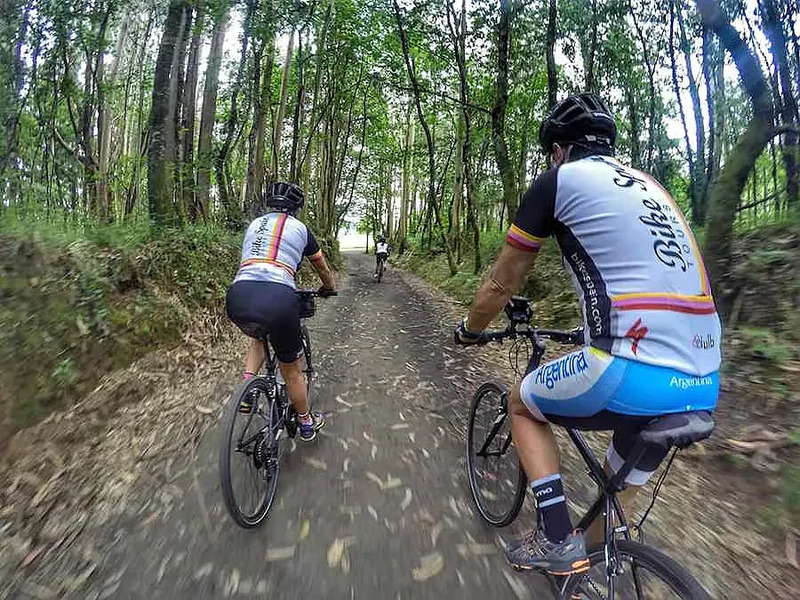 That’s why Bike Spain Tours organizes different types of trips: guided, in which the most experienced guides are available to customers, or self-guided, in which customers explore on own with the aid of maps and mobile applications. Bike Spain Tours does the heavy lifting and transports customers’ luggage from hotel to hotel. A perfect example of the routes of Bike Spain Tours is the Camino de Santiago. That tour that starts in Burgos and ends up in Santiago, the Galician capital. Listed as one of UNESCO’s World Heritage sites, the Camino de Santiago takes travelers across 500 kilometers of northern Spain, through locations such as Carrión de los Condes, León, Villafranca, and Monforte de Lemos, all of historical and artistic significance. Cyclists travel about 50 kilometers per day, on Specialized bikes. At night, cyclists stay at exclusive accommodations, such as the Parador de Monforte de Lemos, located in a former neoclassical monastery of the seventeenth century, and the Hostal dos Reis Católicos Santiago, a five-star hotel and emblem of the city located in Obradoiro Square, the main plaza. All the while, cyclists discover northern Spain’s gastronomical delights. “It’s a unique route. It is not only about traveling the road, but to look for all the best that is around him “, explains Pablo. 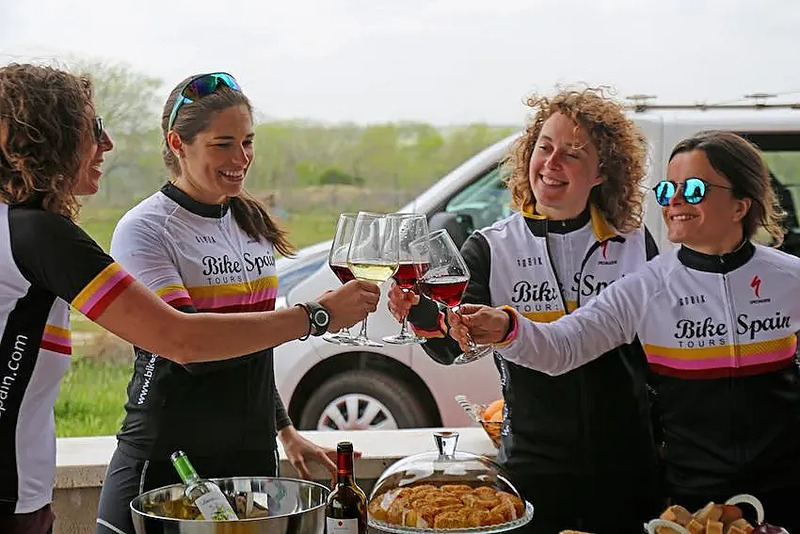 Among other things, and in addition to the hotels, Bike Spain Tours pays special attention to gastronomy: the trip includes, in addition to buffet breakfasts in each of the select hotels, five light lunches and six specially prepared dinners to discover the culinary excellence of the place, with selected wine included. But there is more: the company also has road routes such as the Tour of Spain, the Tour de France or the Giro d’Italia. “They are trips in which the great races are followed, watching the teams and riding along the same roads. It has increasing acceptance, especially among customers in Latin America, “explains Pablo. There is no doubt: high-end cycling is here to stay. “In other countries of Europe many trips of these characteristics are organized, and in the United States they have been doing it for a long time”, says Pablo. And, in front of the cyclist who values ​​the effort of carrying saddlebags and heading to an uncertain destination, there are also those who seek the incomparable pleasure of enjoying nature at the stroke of a pedal, knowing that every detail of their trip is planned with the excellence by flag and 100% personalized attention.